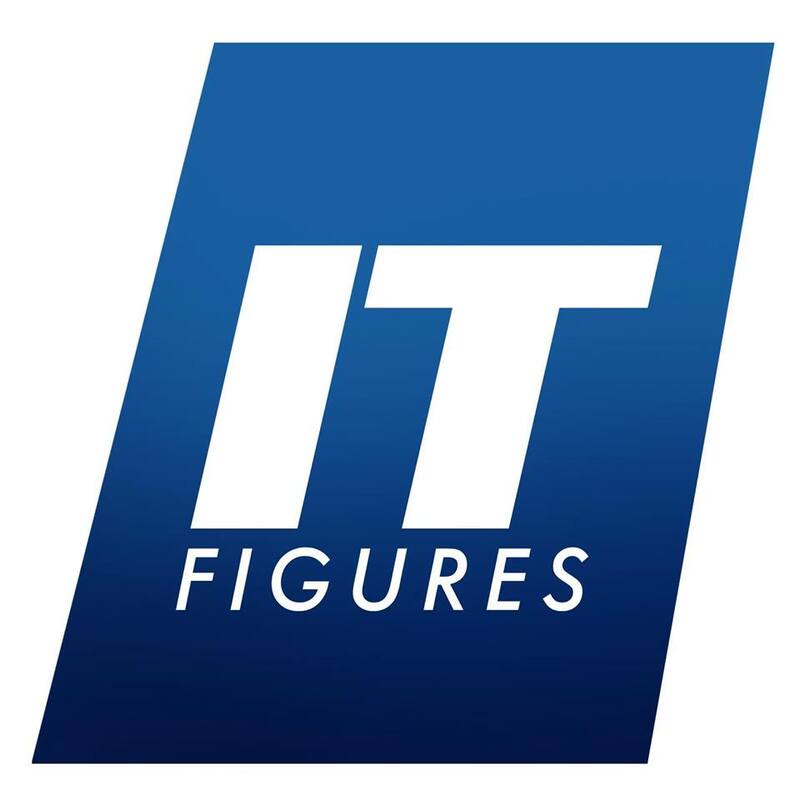 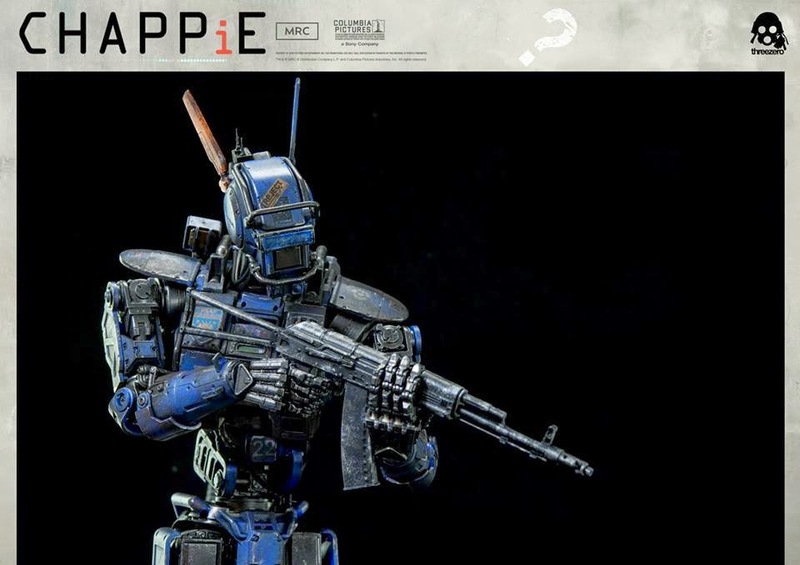 The 1/6th scale collectible figure line from threezero based on characters from the film Chappie will launch this month. 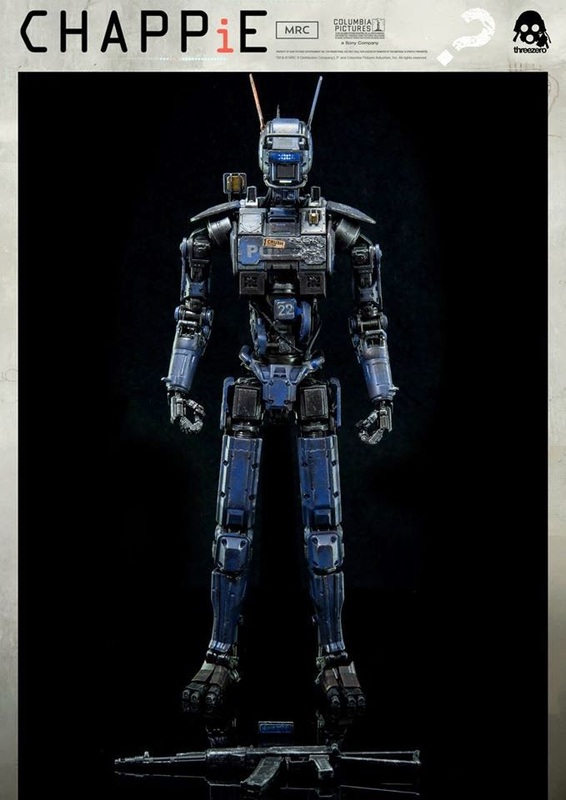 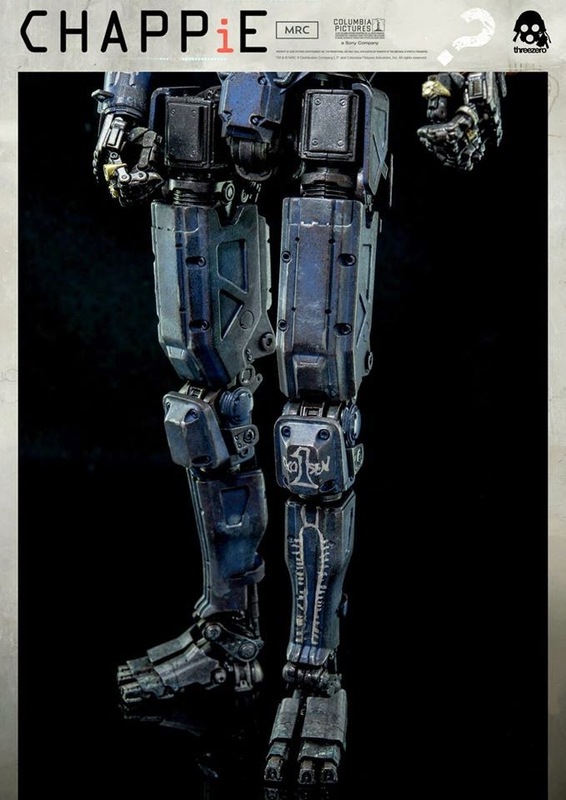 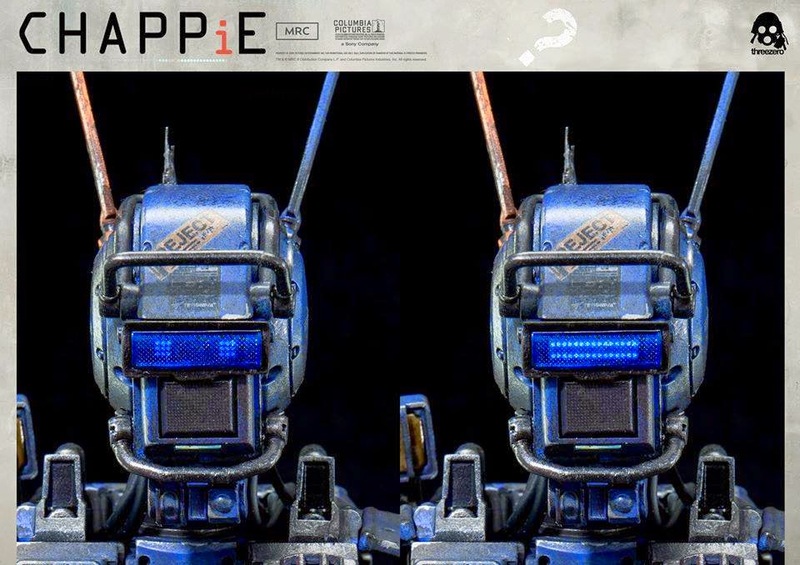 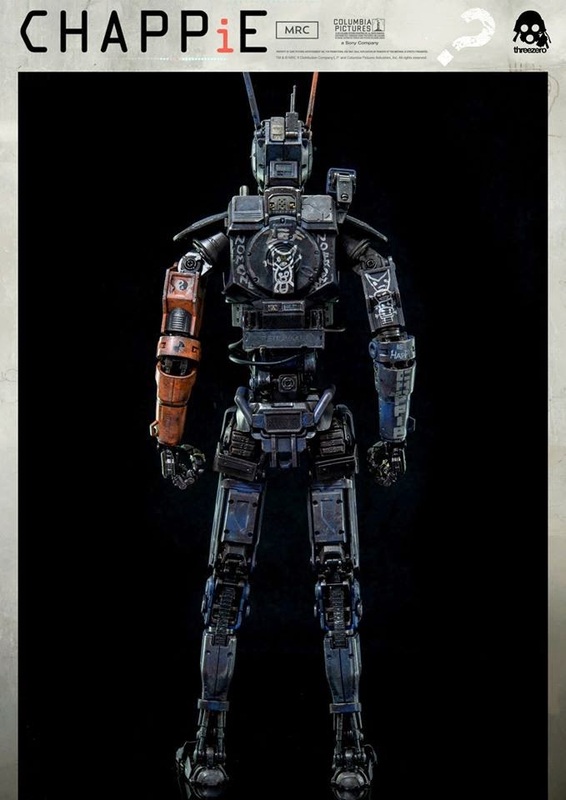 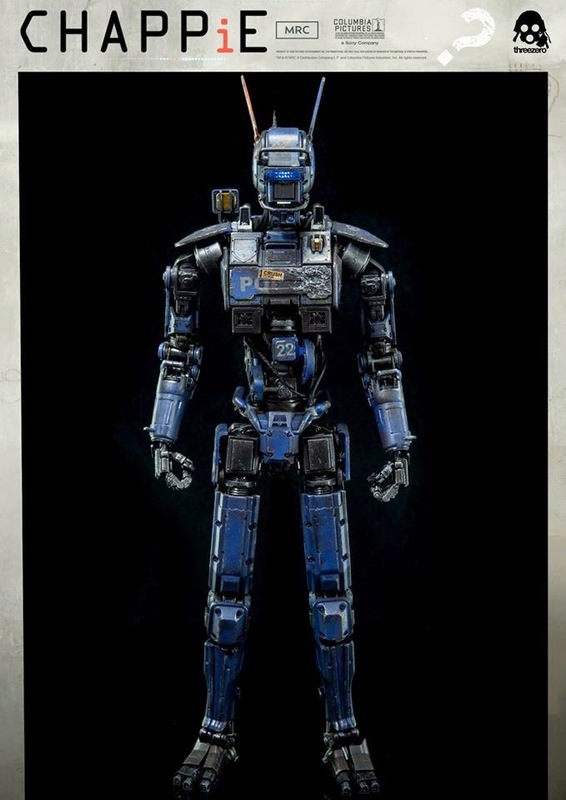 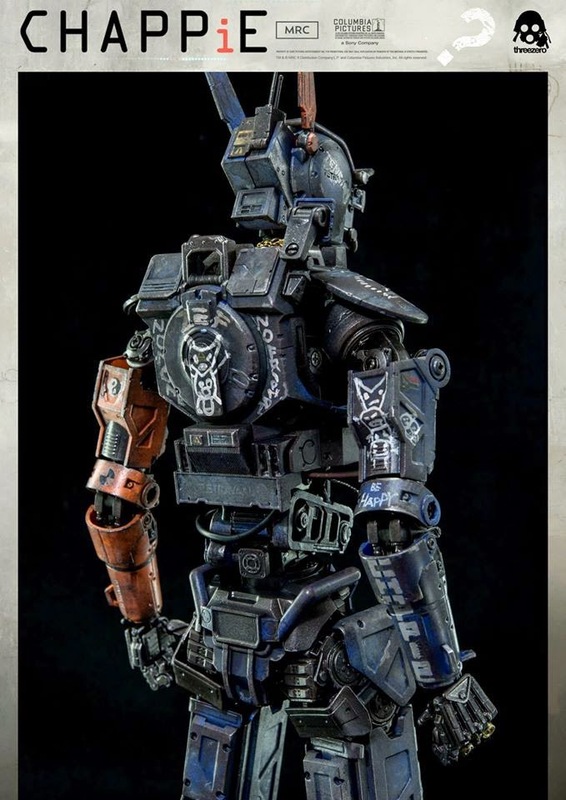 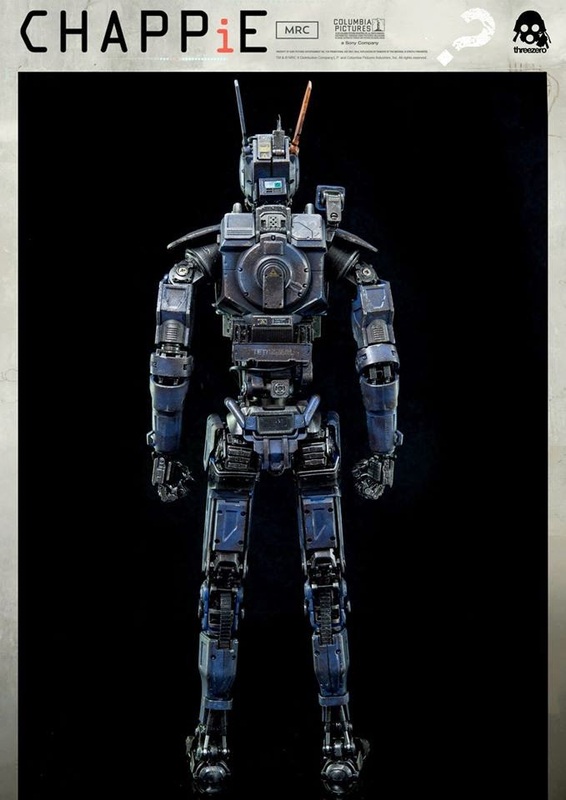 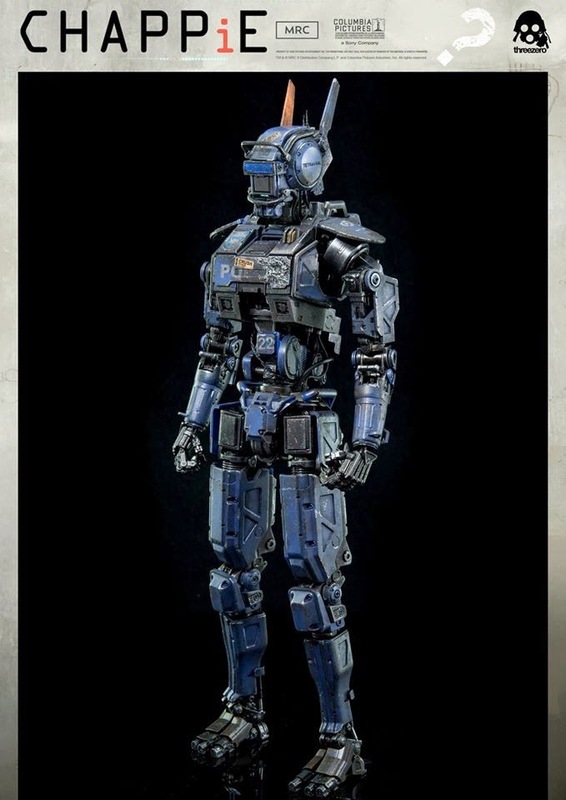 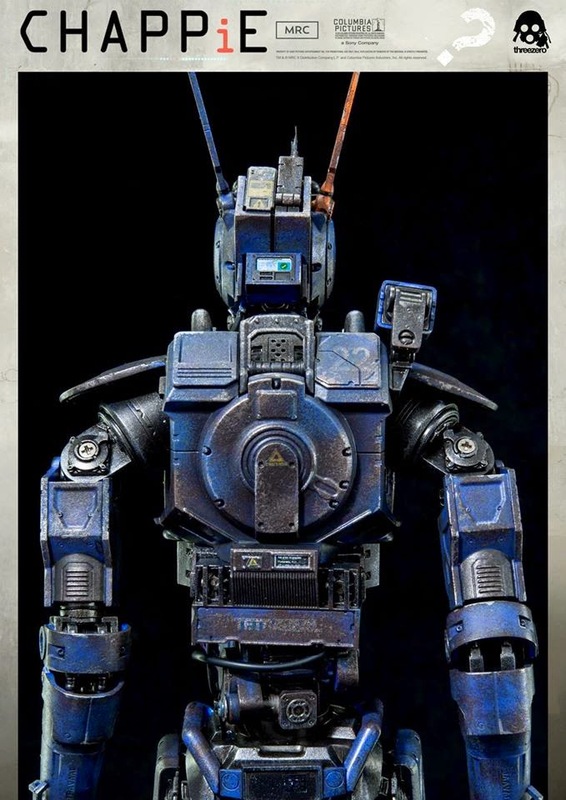 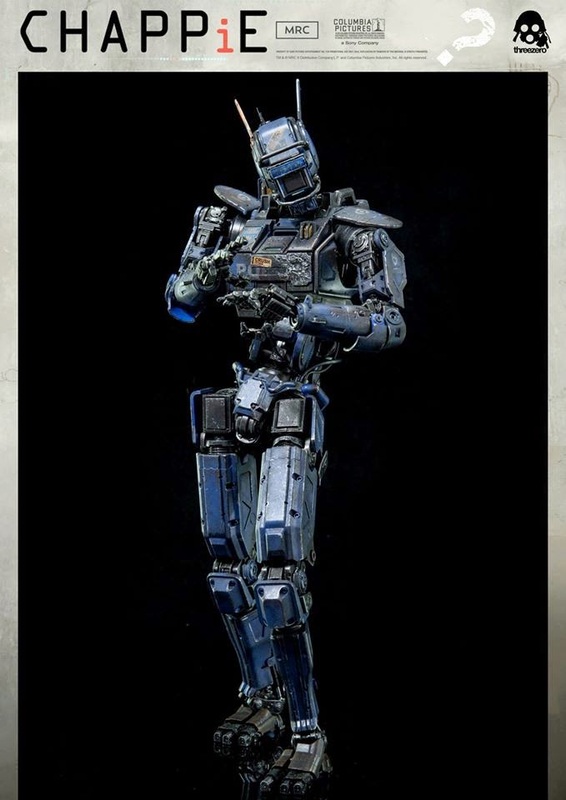 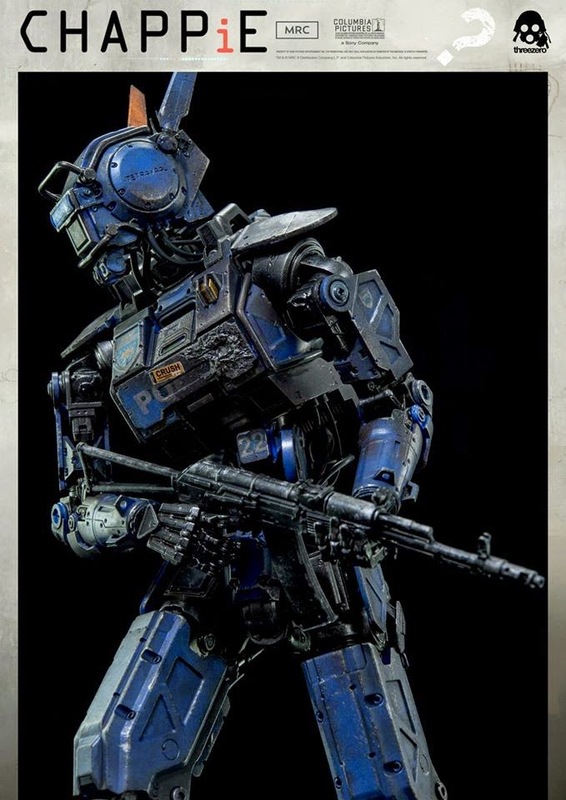 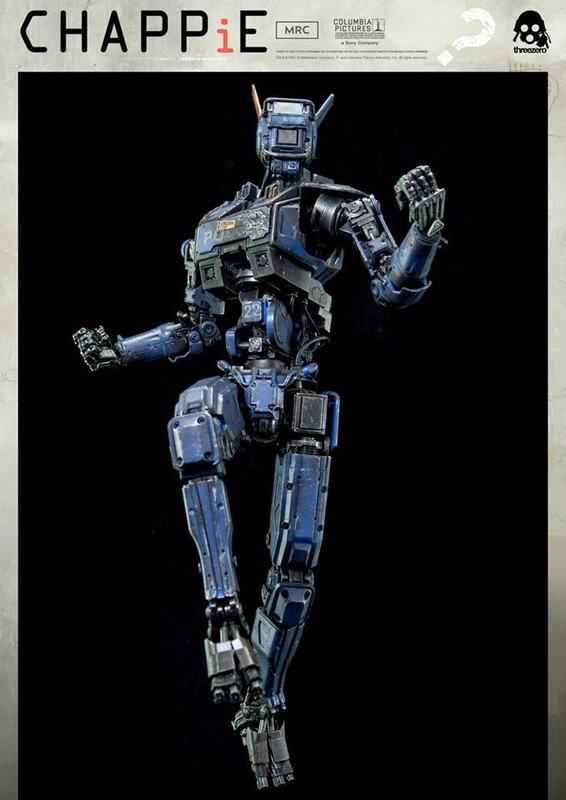 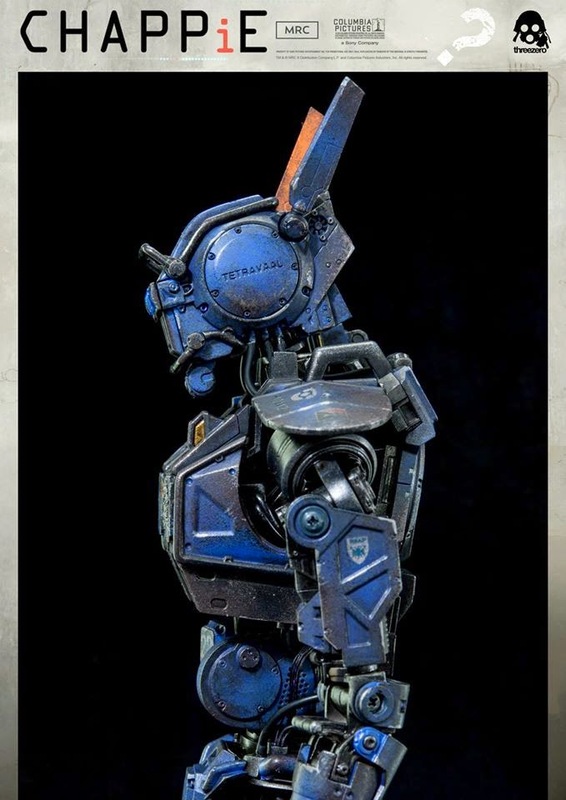 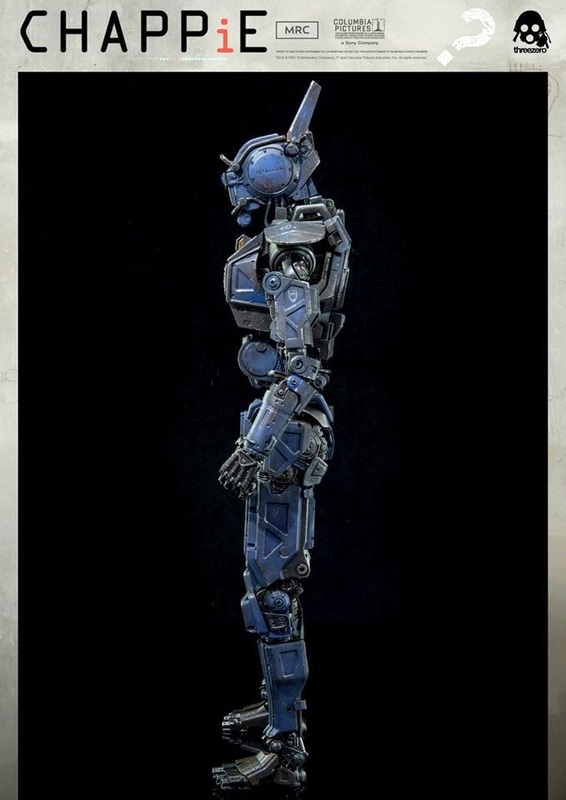 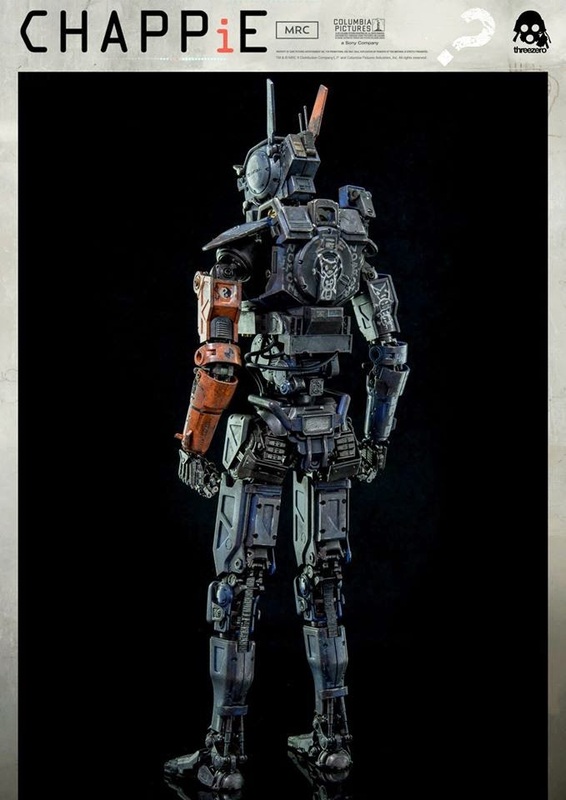 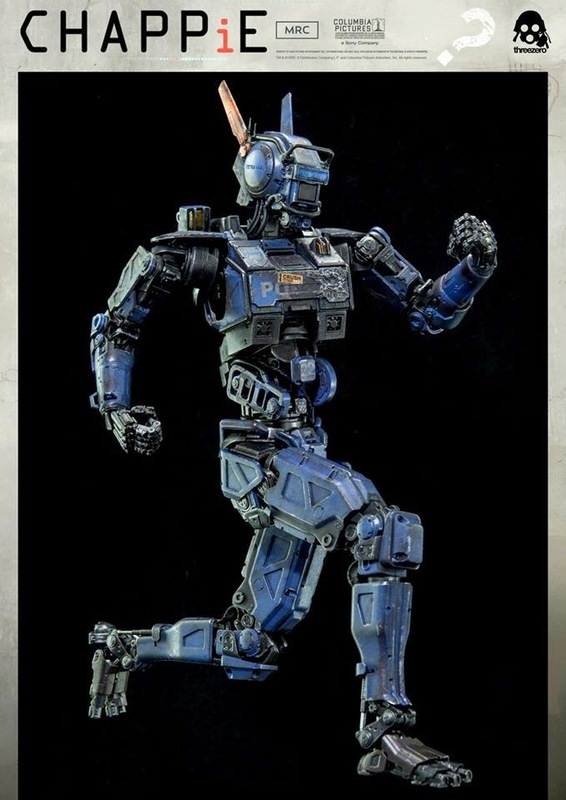 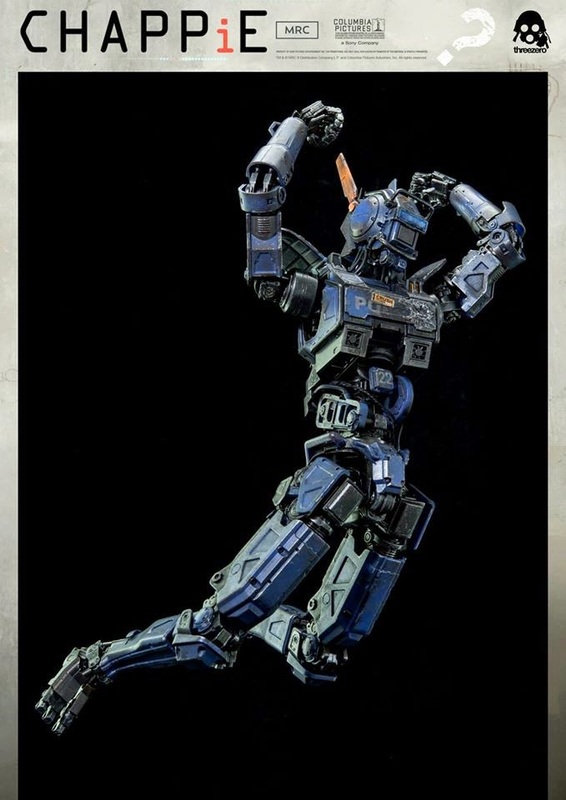 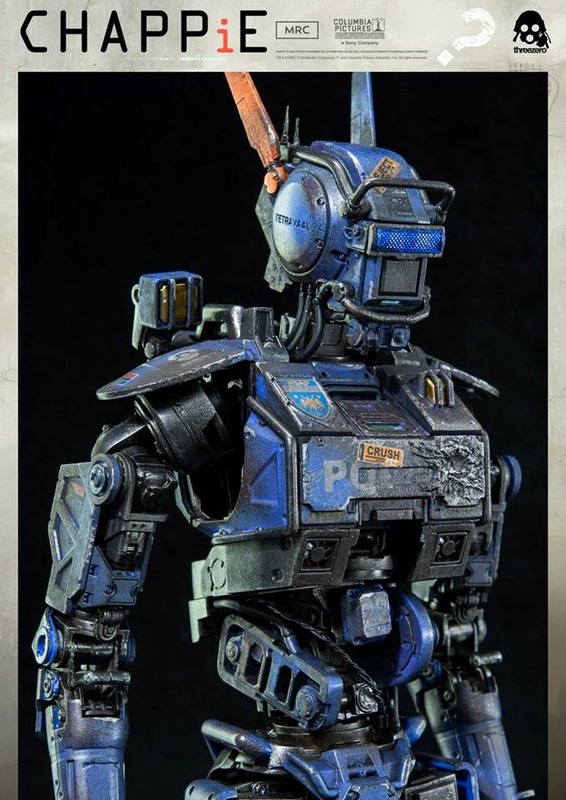 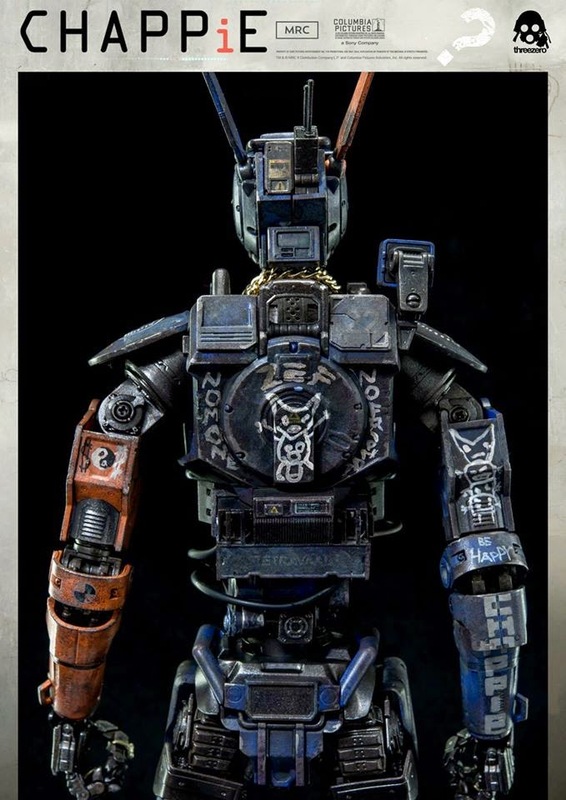 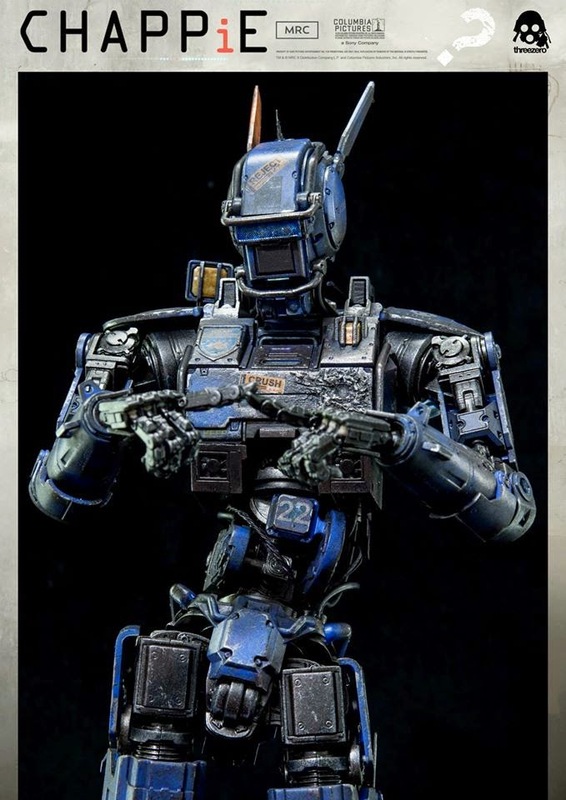 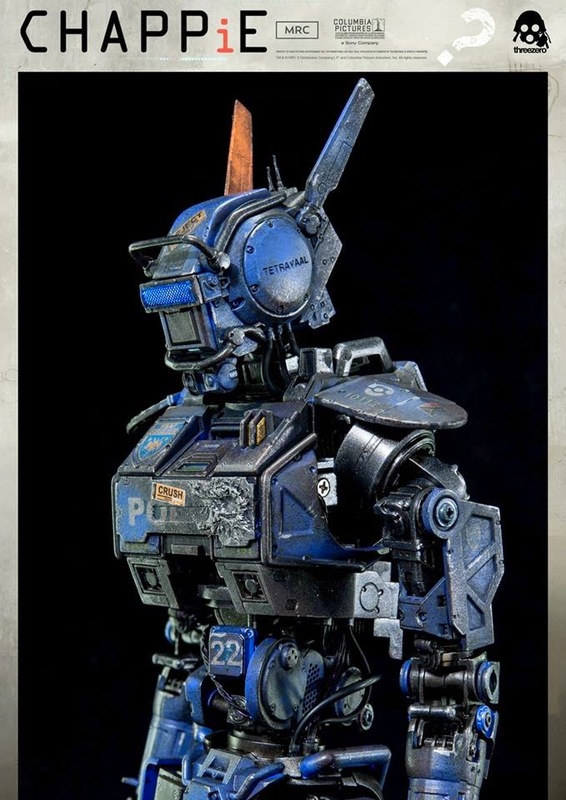 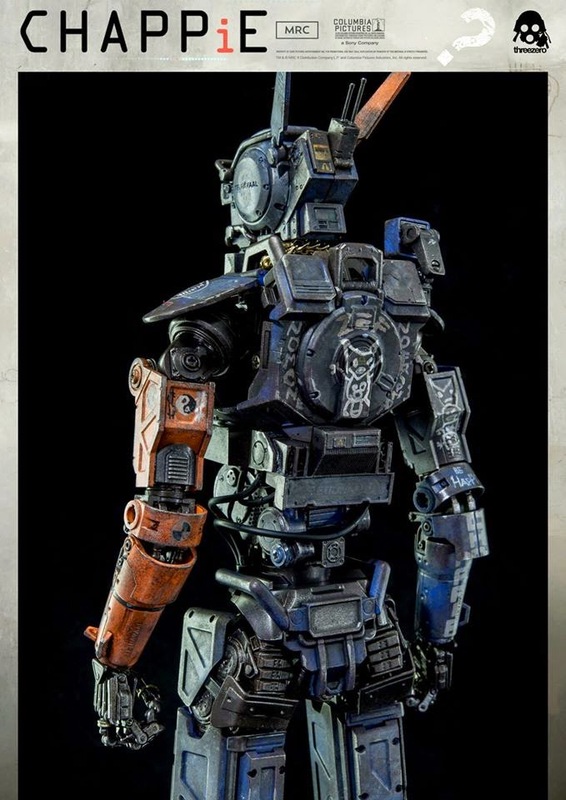 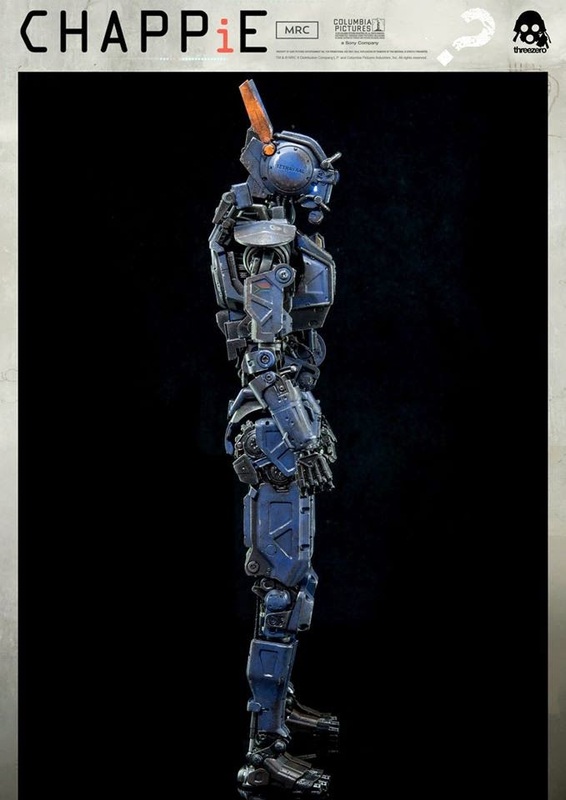 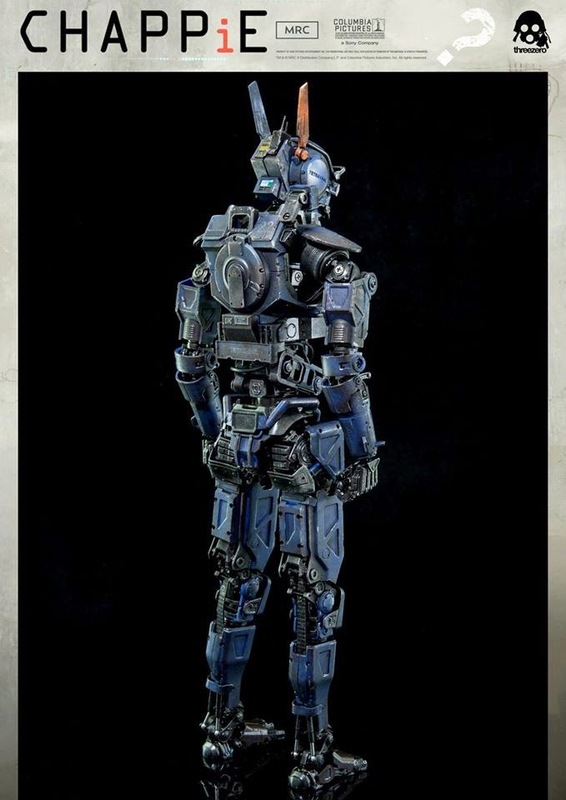 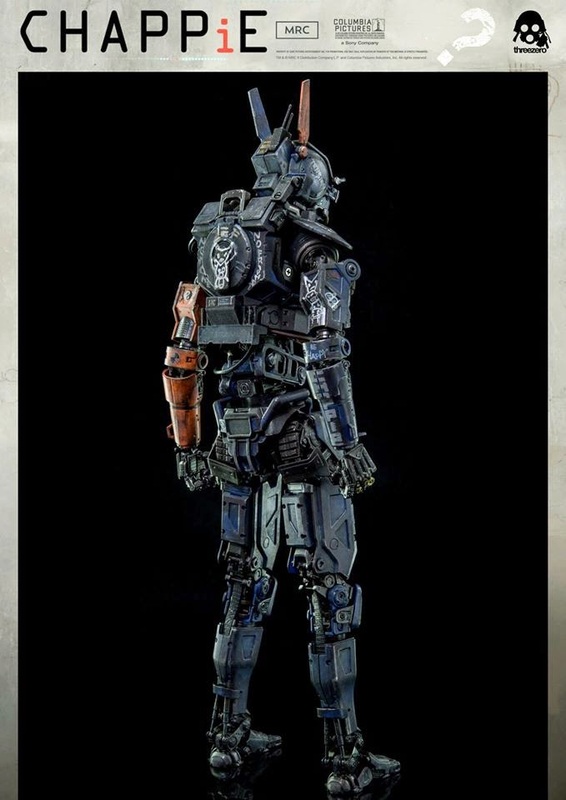 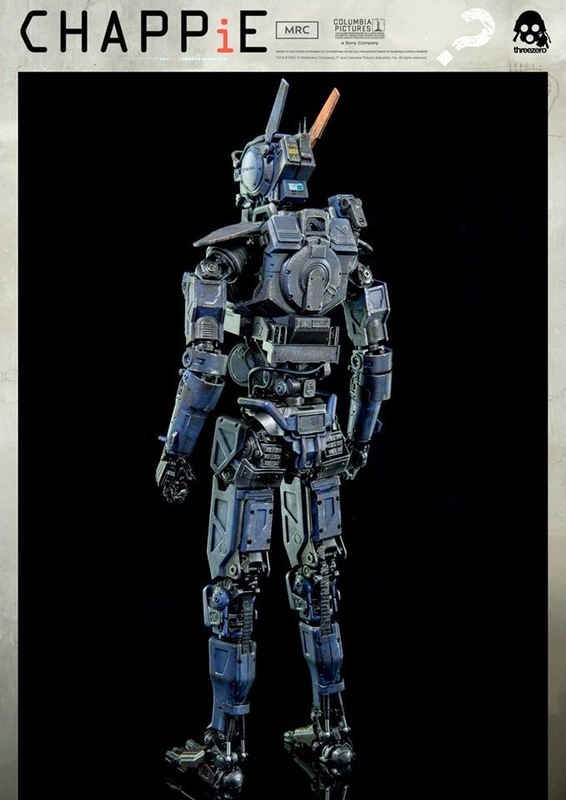 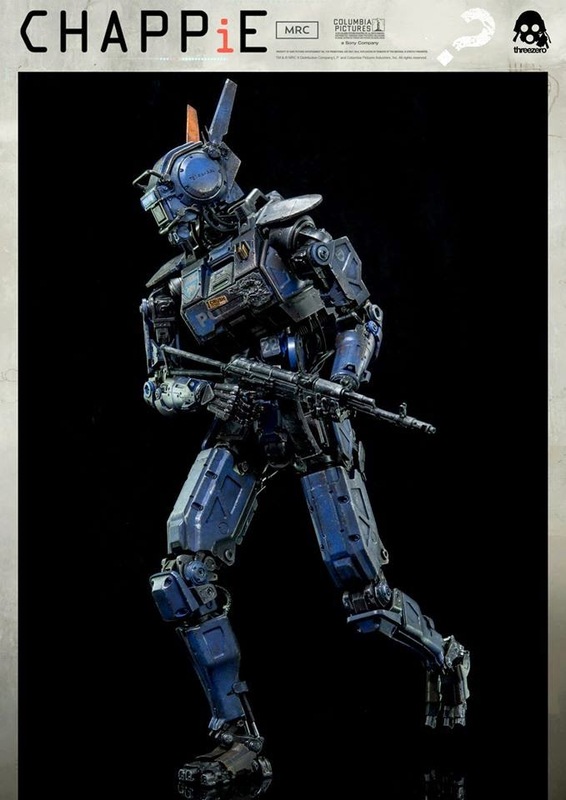 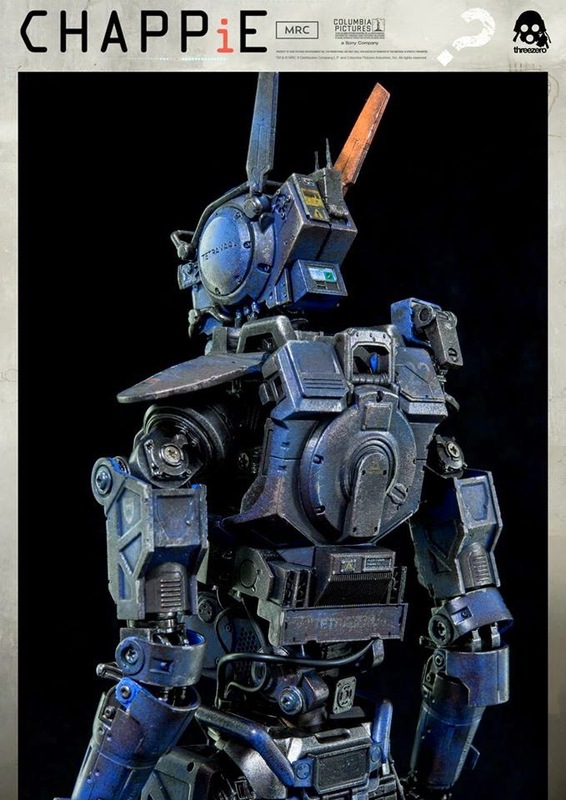 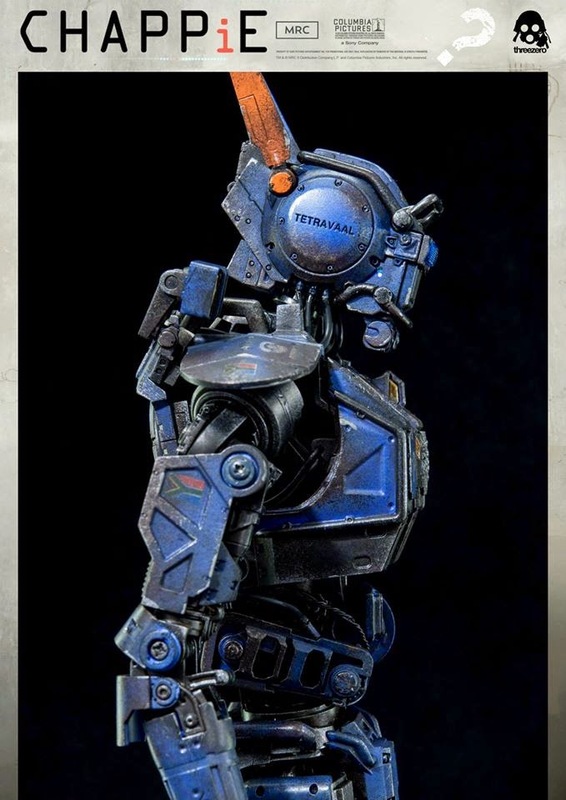 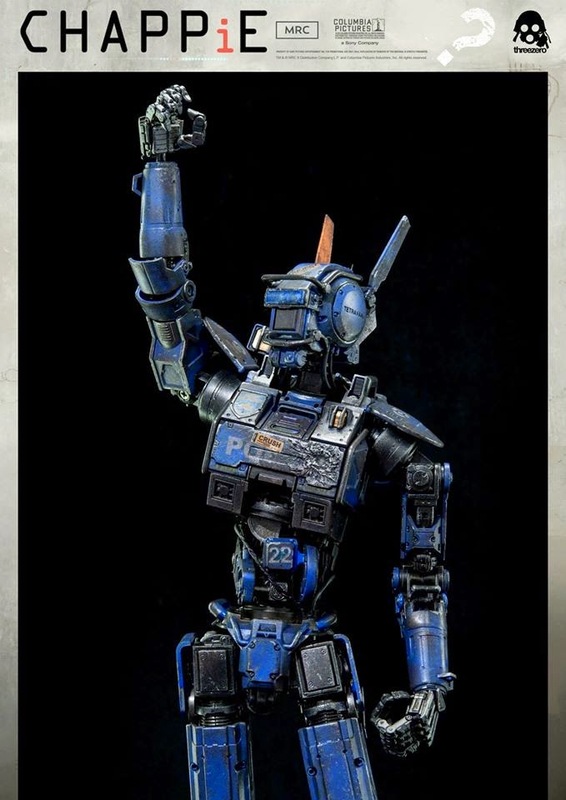 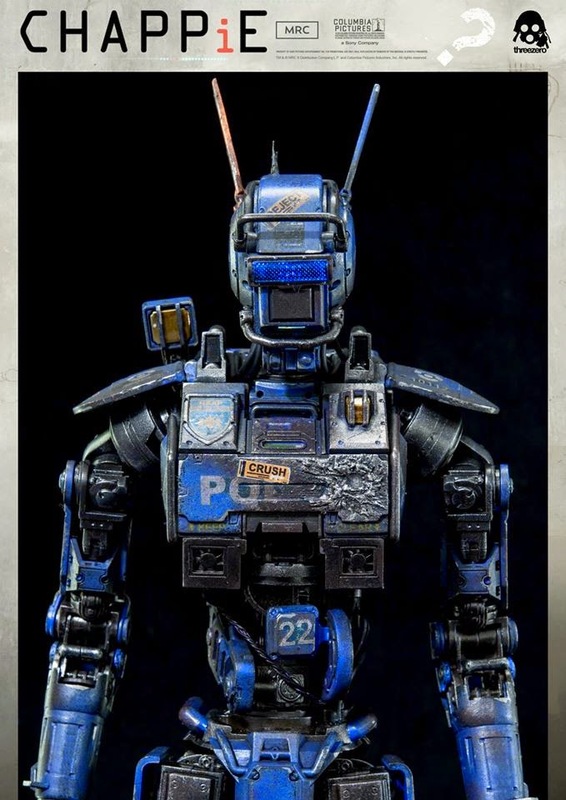 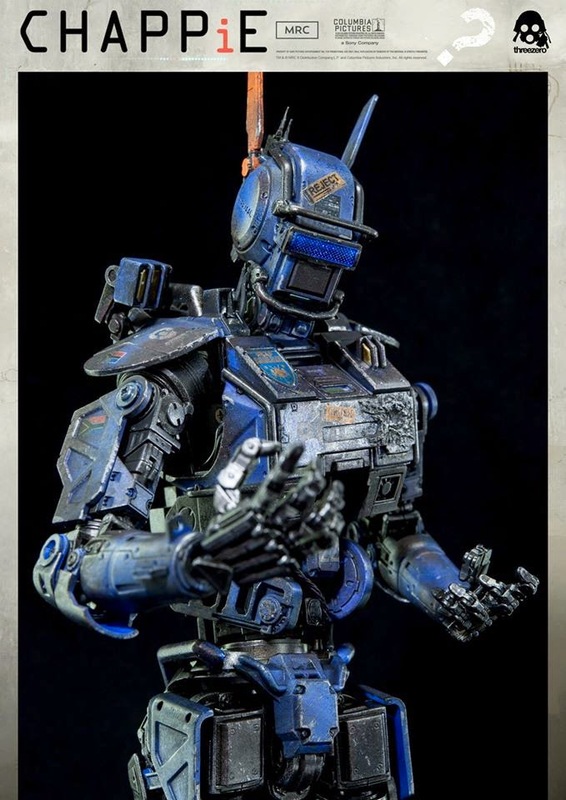 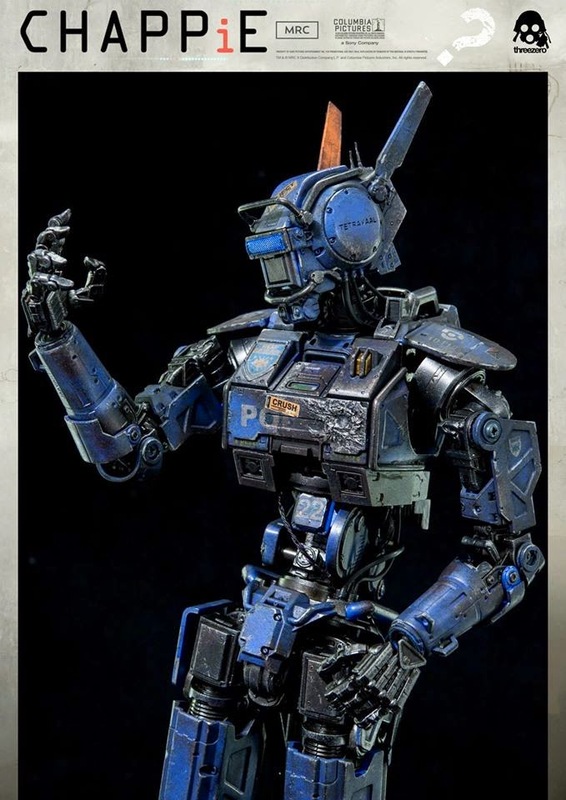 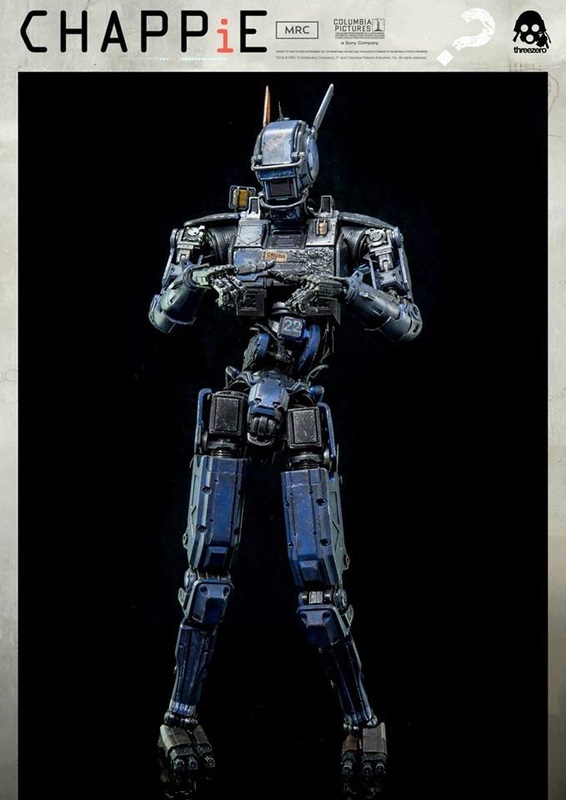 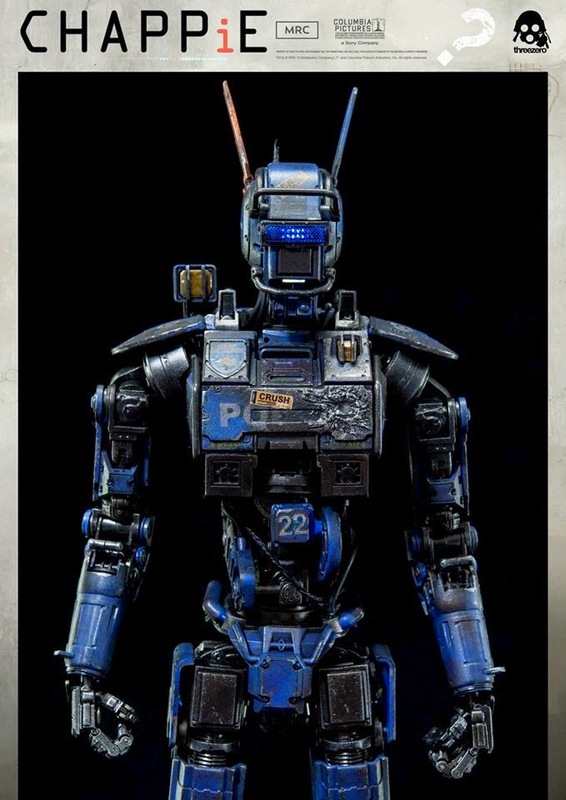 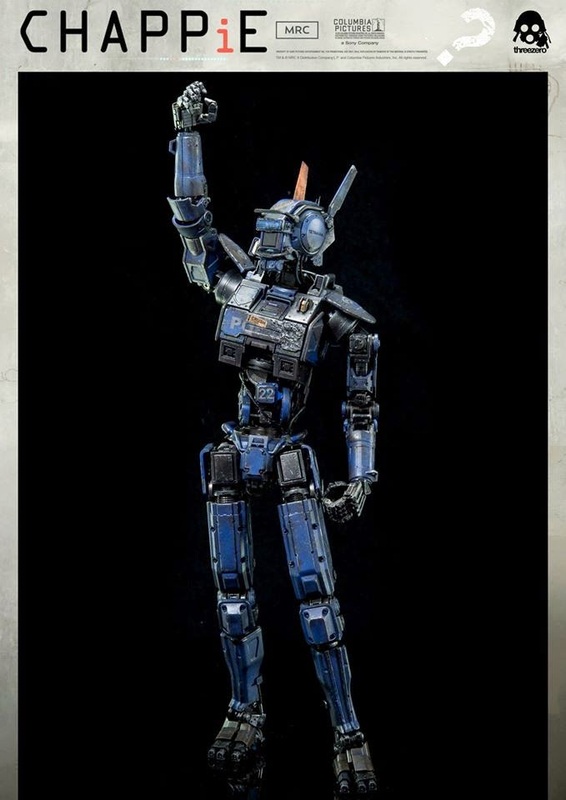 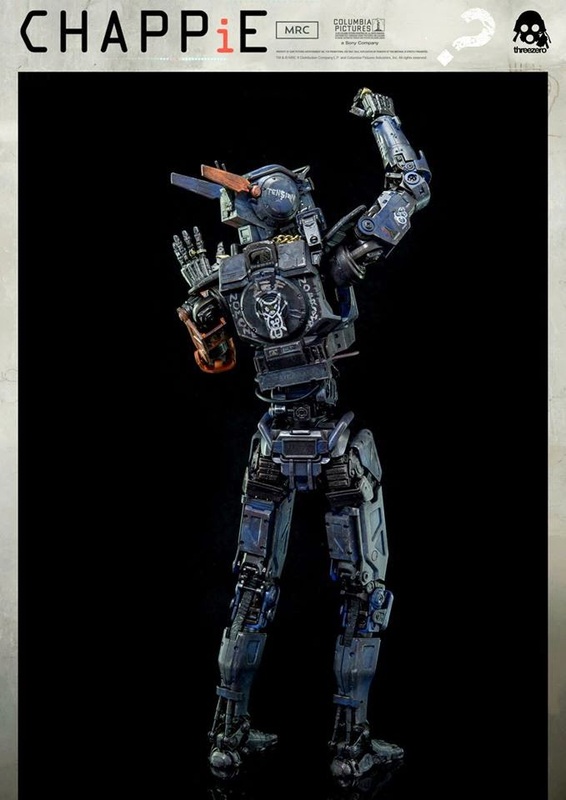 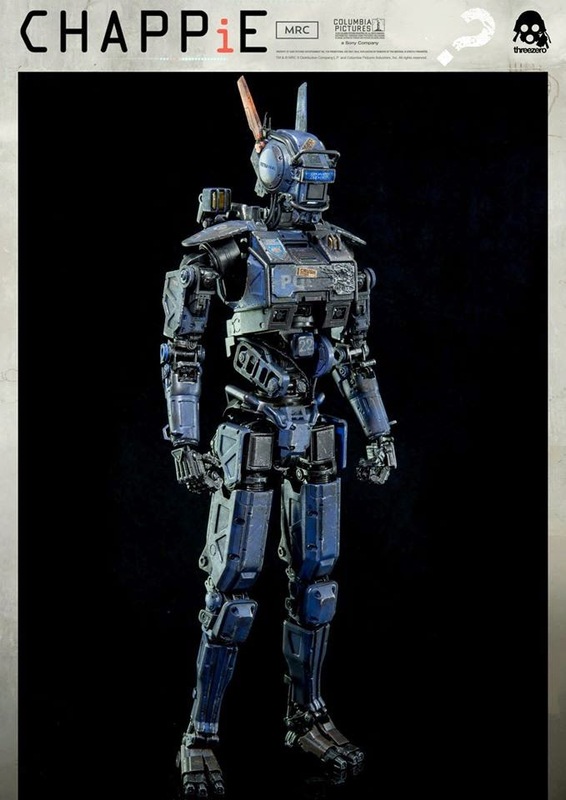 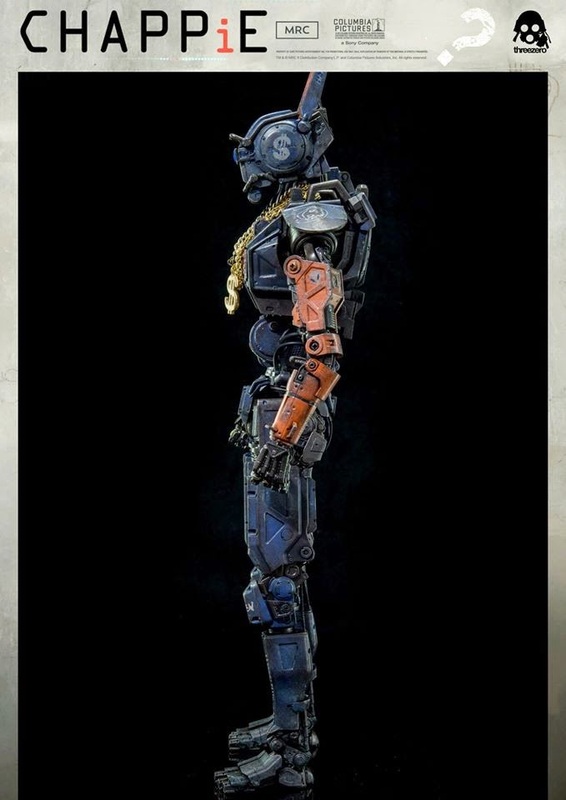 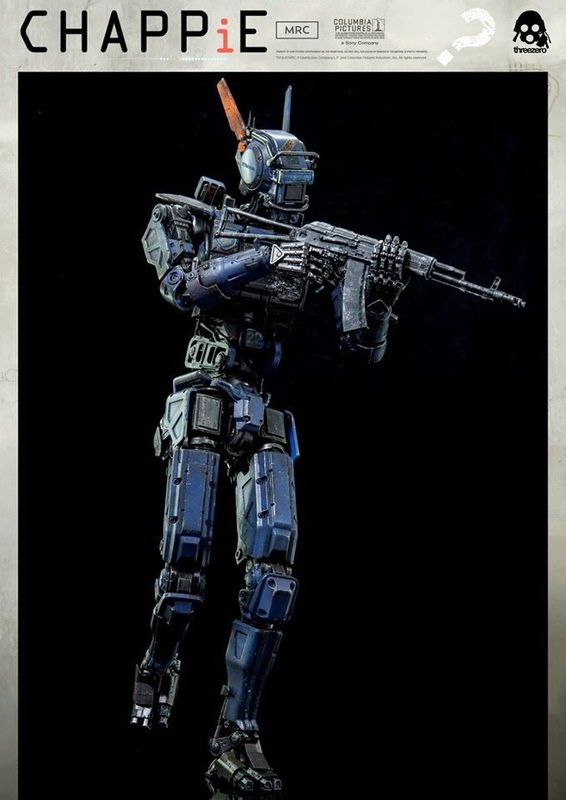 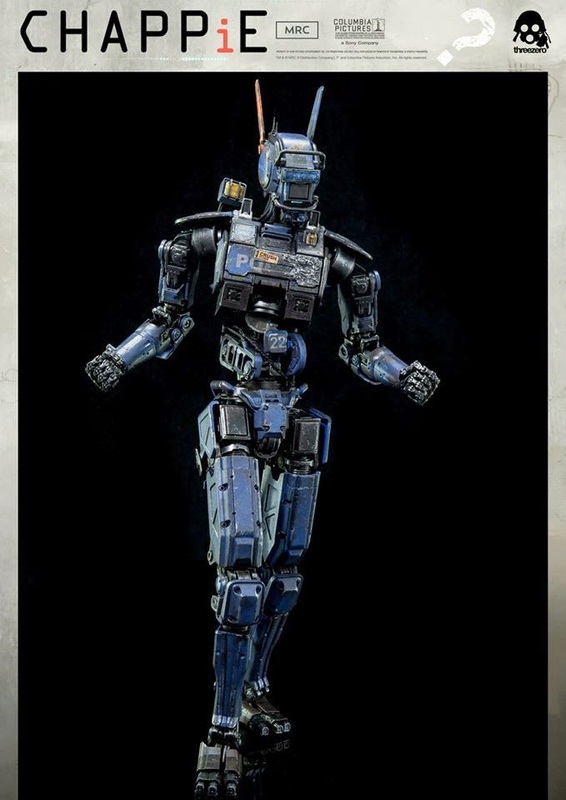 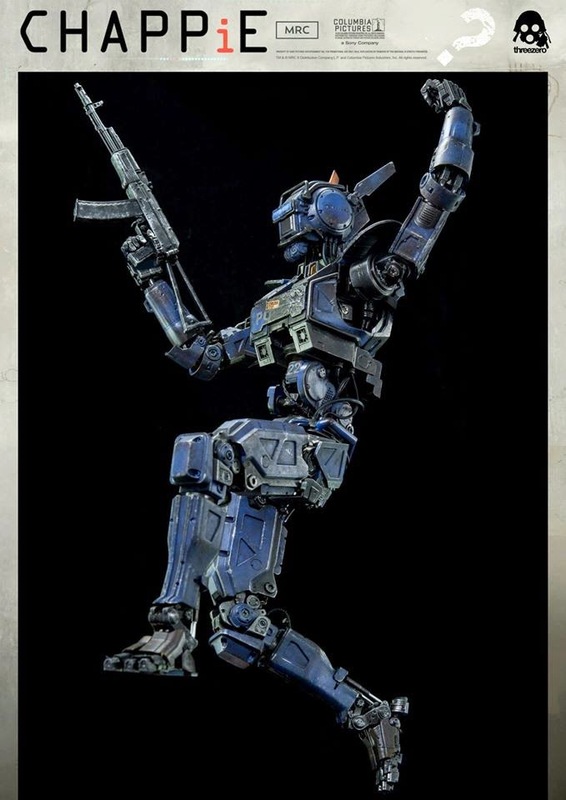 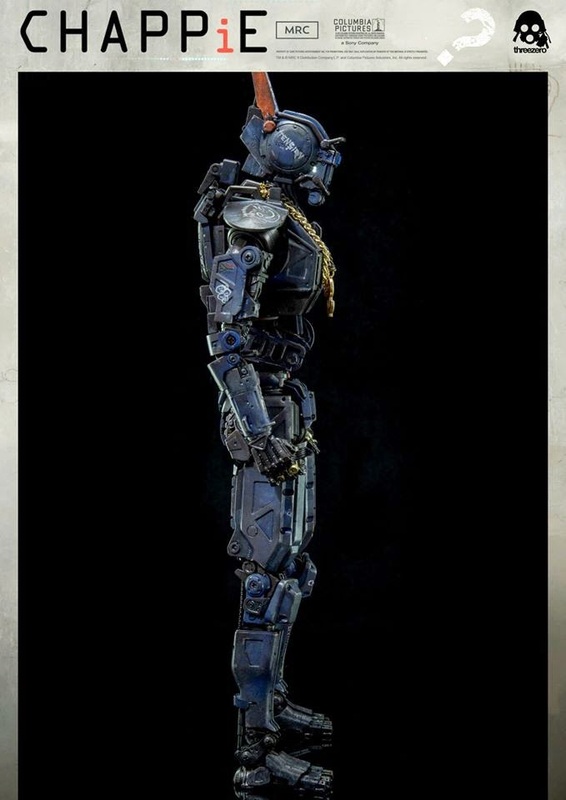 The fully-articulated Chappie collectible stands at 12" (30.5cm) tall and features highly detailed paint and weathering replicating his appearance on screen. 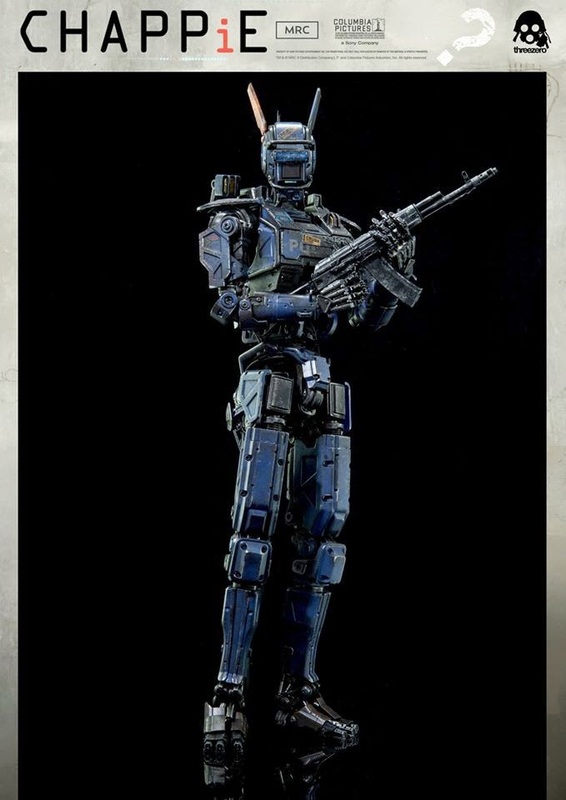 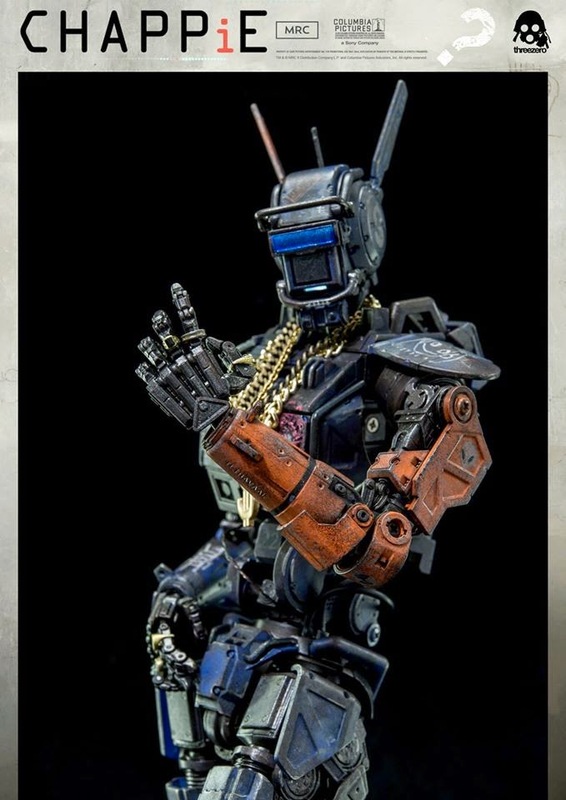 Chappie also includes light-up LEDs and an AKS-74 rifle accessory. 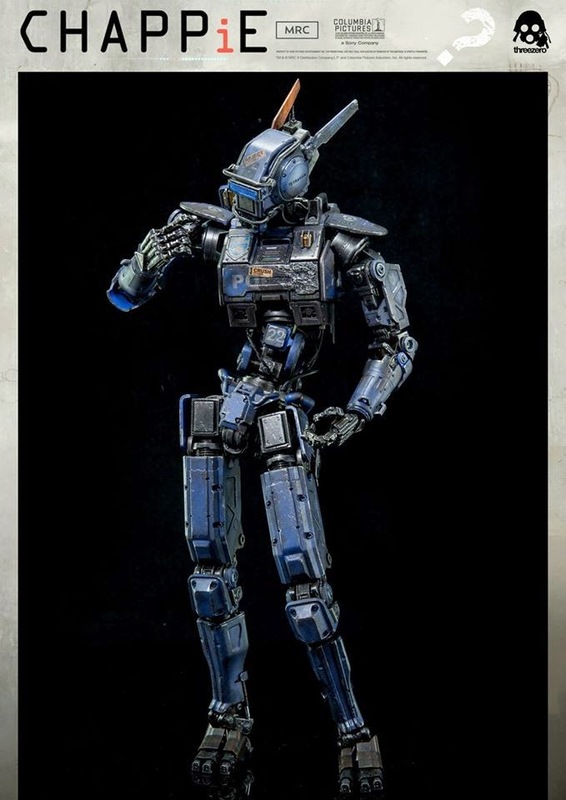 Pre-order will begin on March 16th 9:00AM Hong Kong time at www.threezerostore.com for 230 USD / 1780 HKD with International Shipping included in the price. 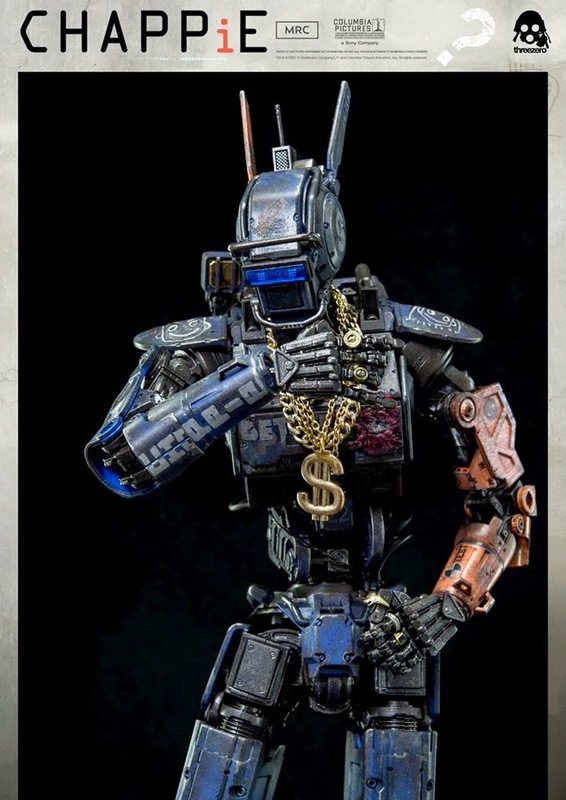 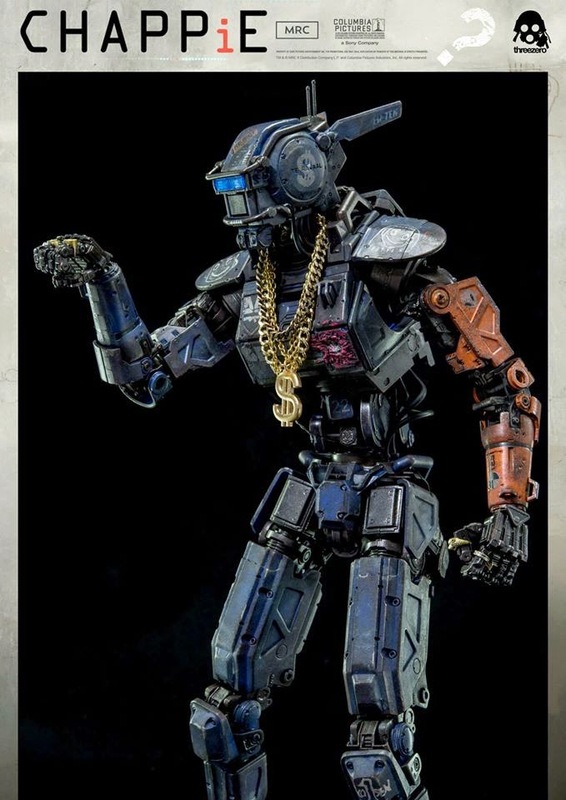 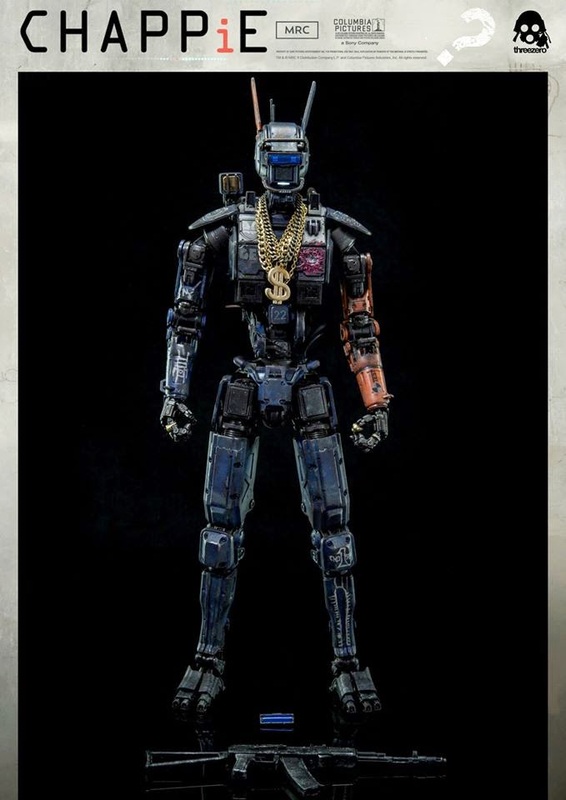 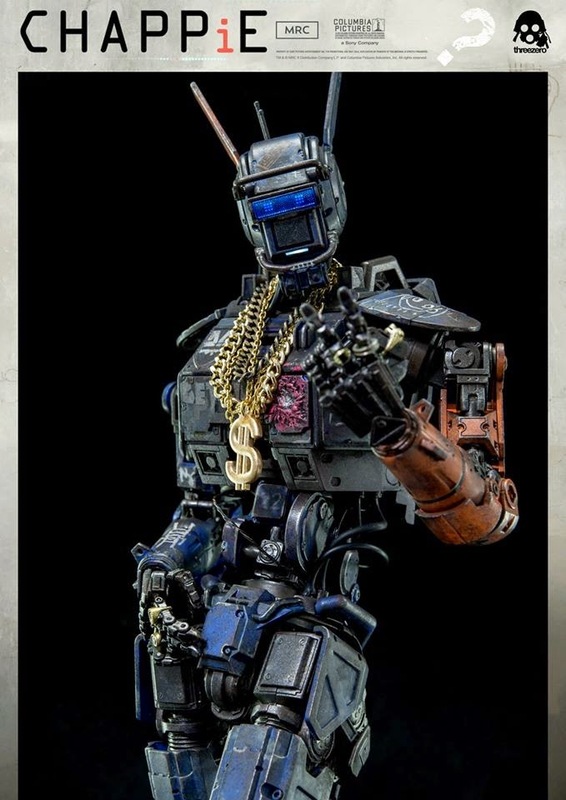 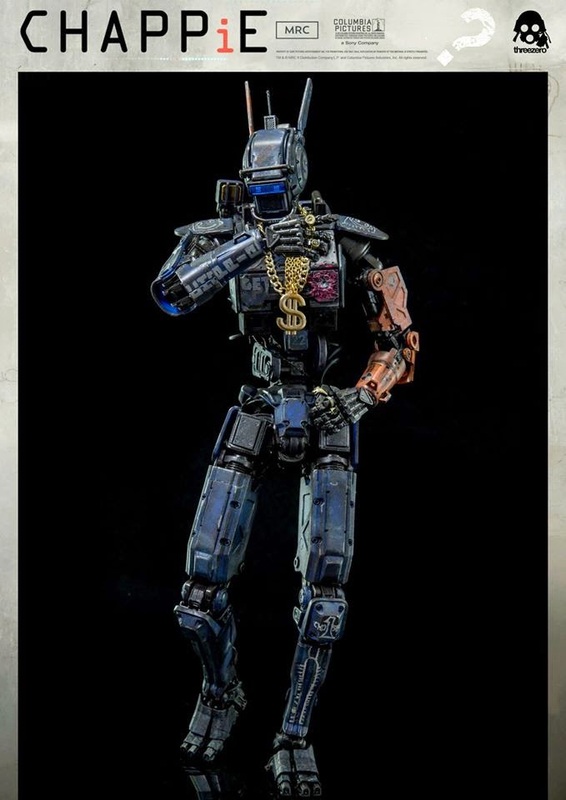 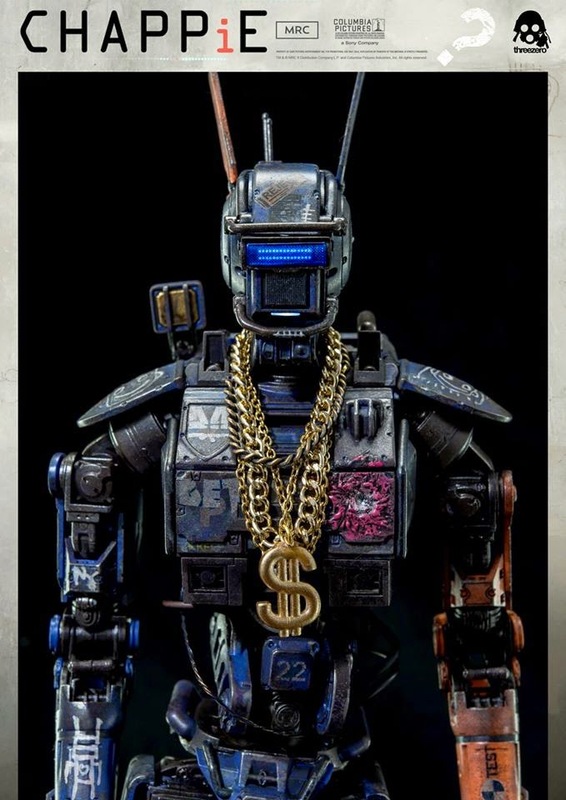 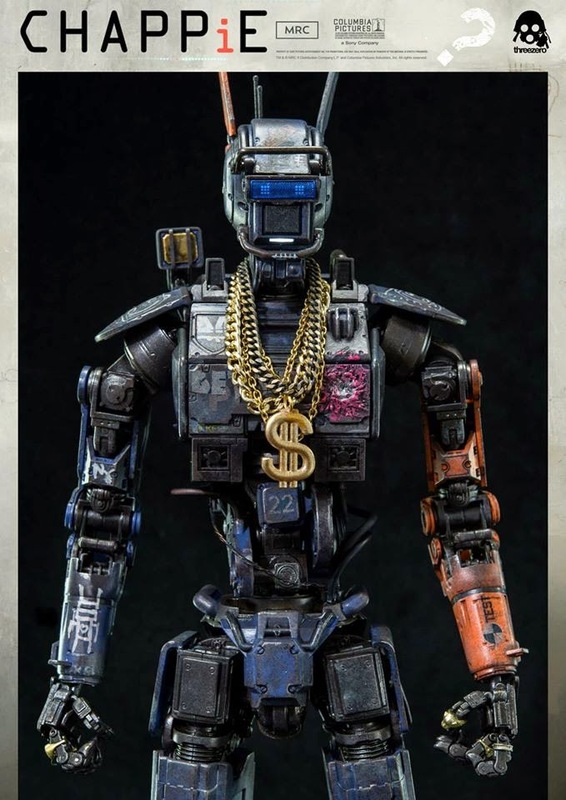 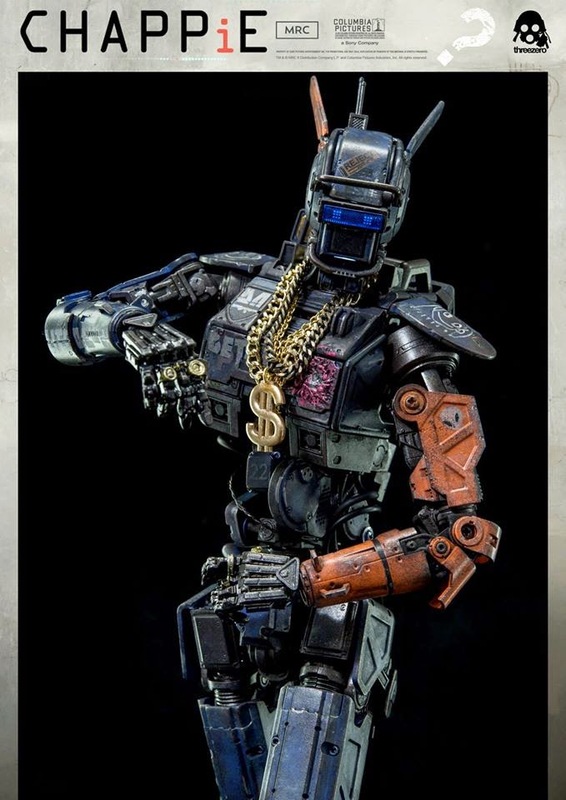 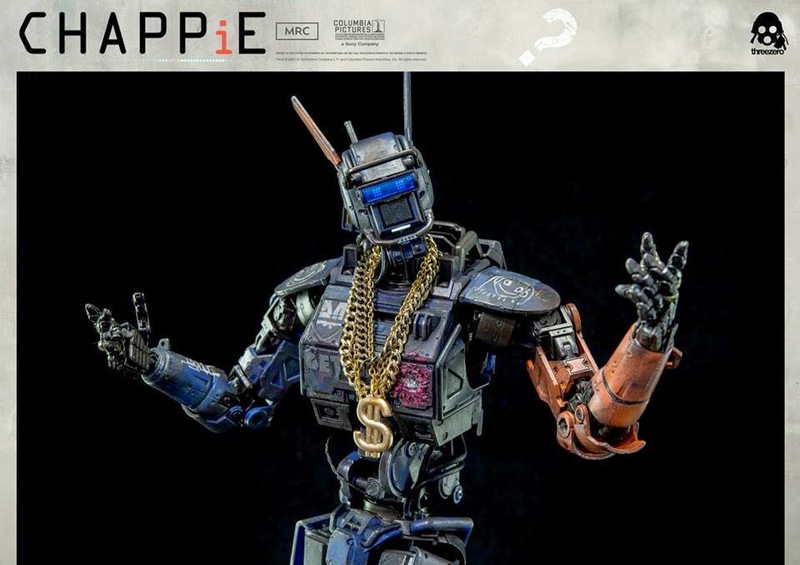 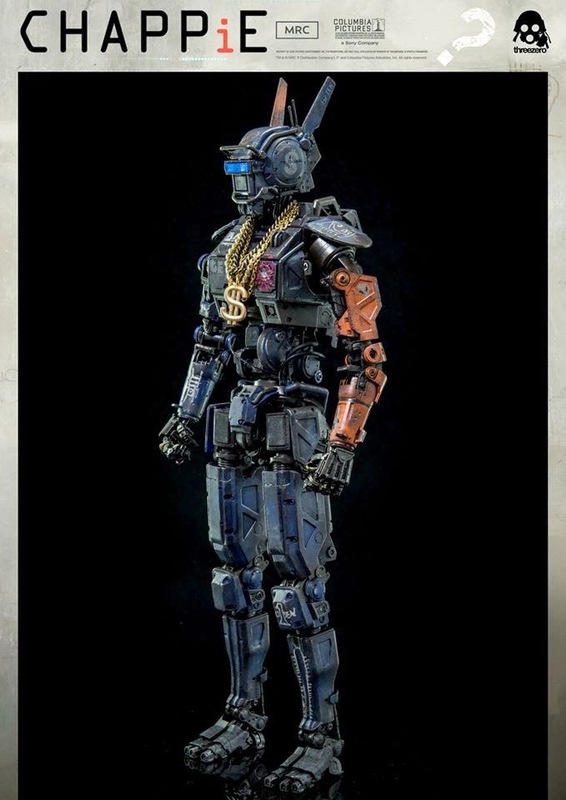 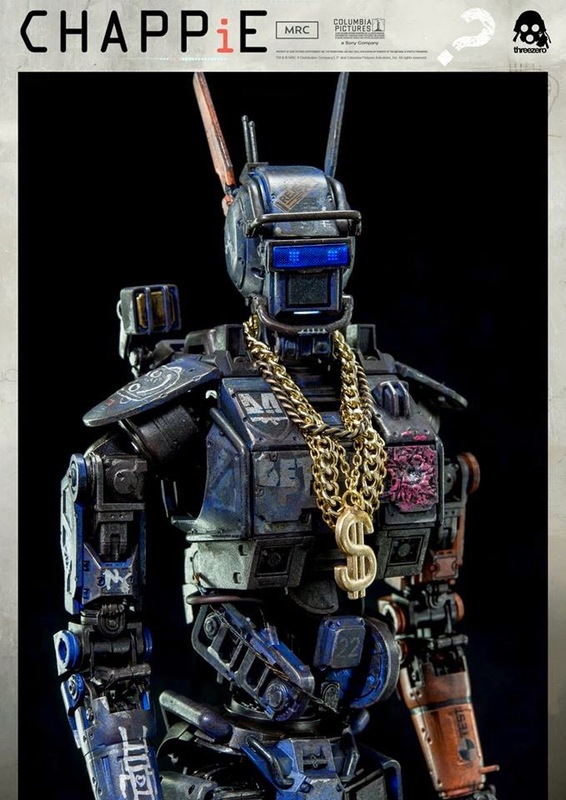 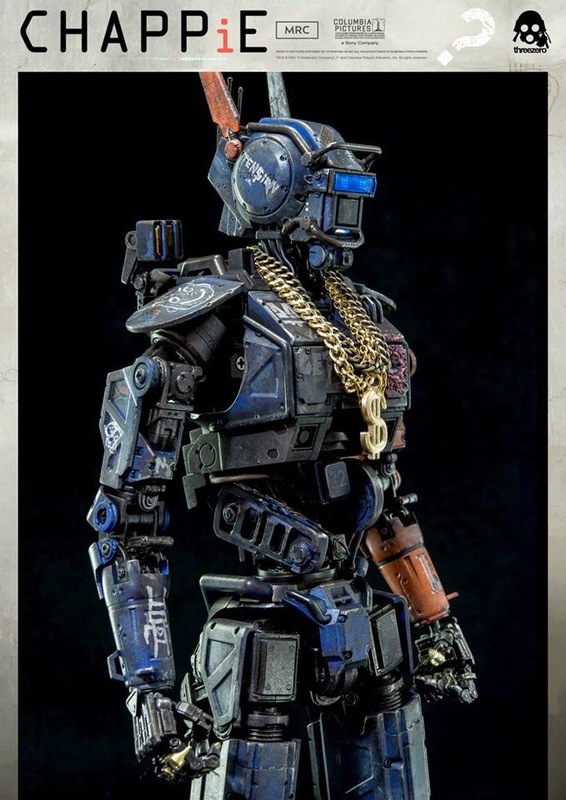 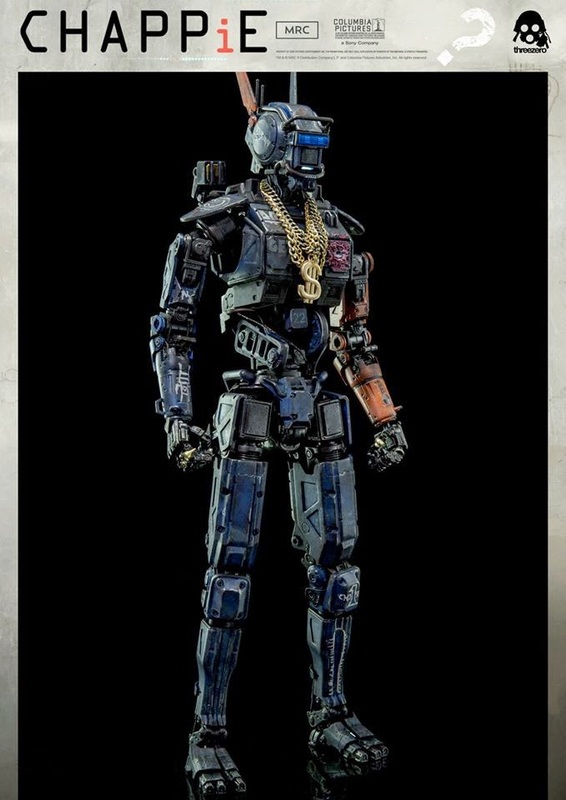 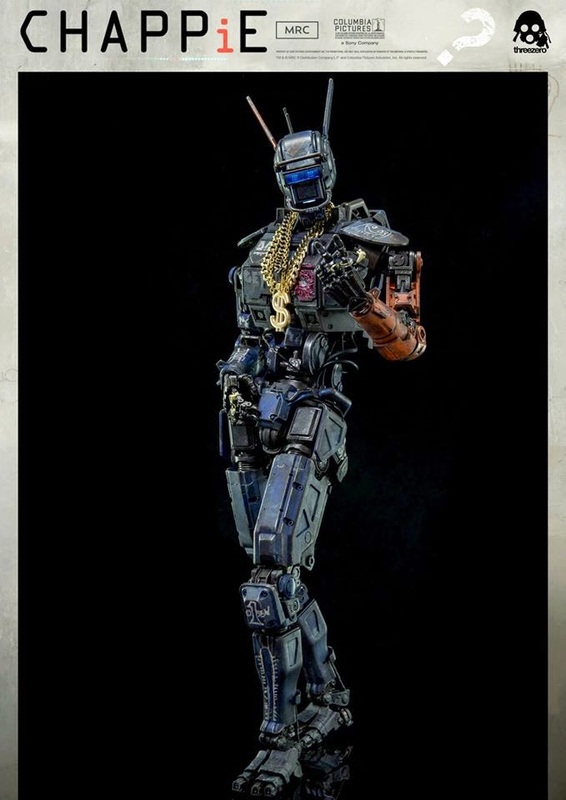 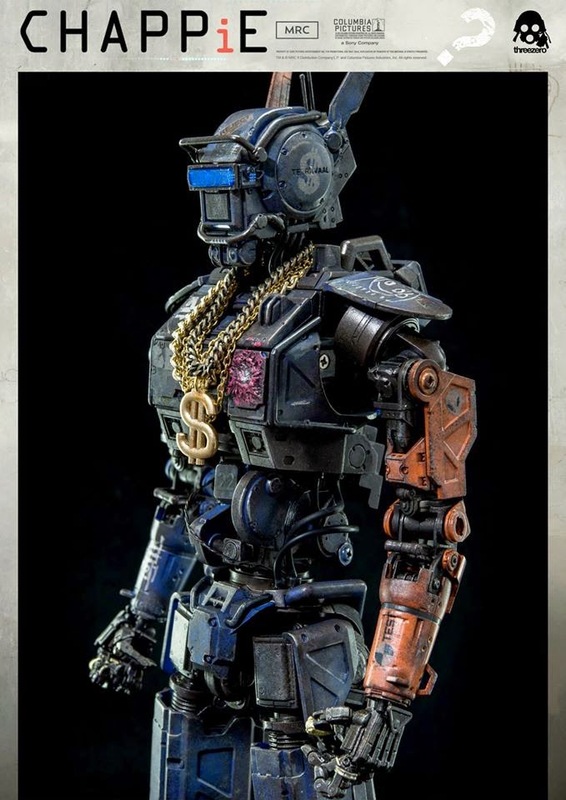 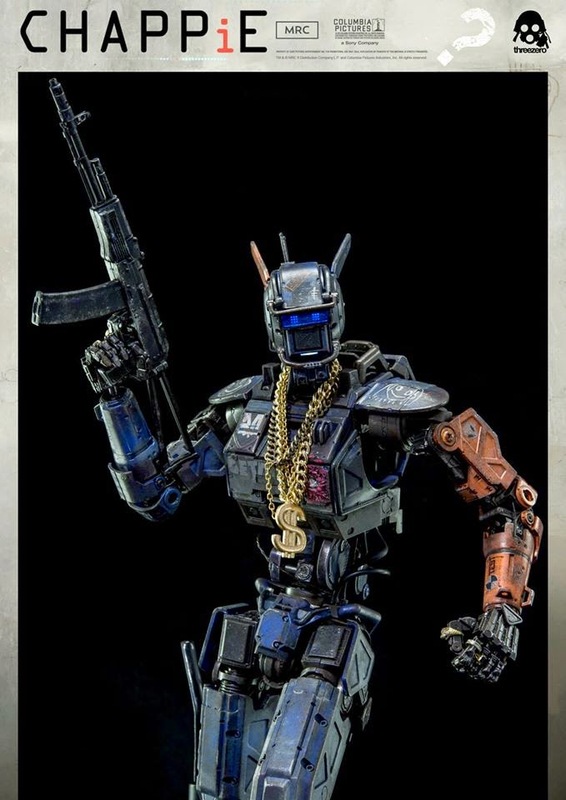 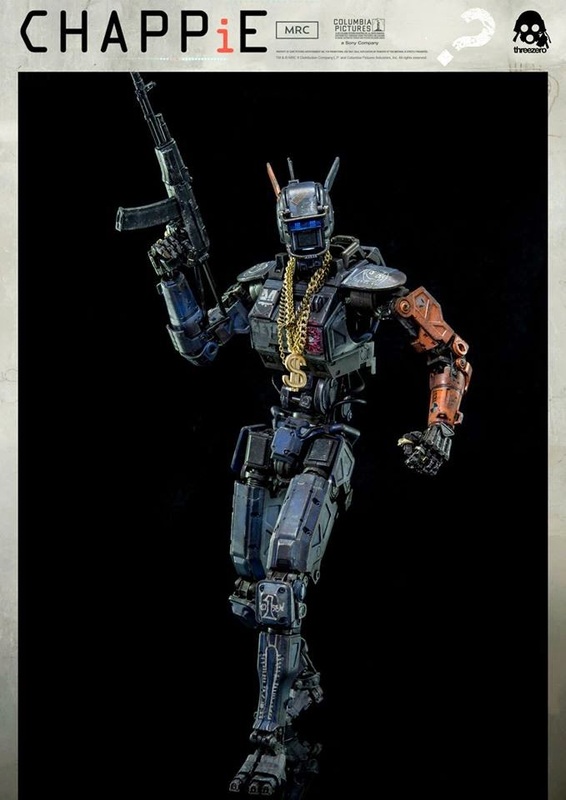 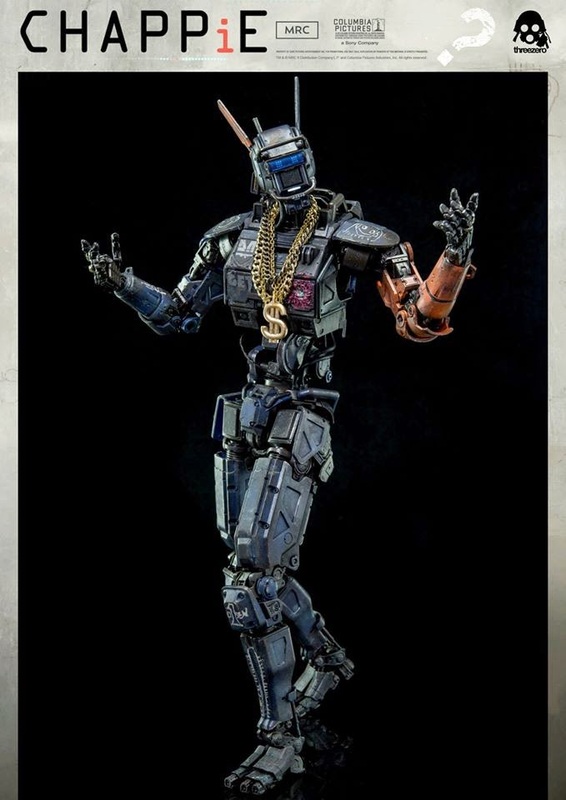 An exclusive, alternative paint variation of Chappie with additional accessories (rings and chain with $ sign), will also be available at www.threezerostore.com for the same price. 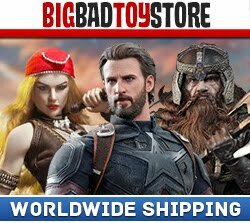 Please follow our updates for full info.